Having qualified on the front row for the weekend’s opening race but suffered from gear selection issues on the start line, Dennis battled back from the pit lane to finish in 12th place. The Racing Steps Foundation-backed driver therefore started from that position in the second race, and made a good getaway to move into ninth place and past his Arden International team-mate Tatiana Calderon by the second tour before a Virtual Safety Car was called for when Trident’s Arthur Janosz retired following earlier contact. Dennis made an excellent restart to quickly move into eighth place and by the halfway point of the race, he was one second behind the ART Grand Prix car of Nyck de Vries. Possessing far greater pace than the Dutchman, Dennis made his move on lap 13, unable to slow the car down enough at the hairpin but having far greater drive to make the move stick through turns five and six. 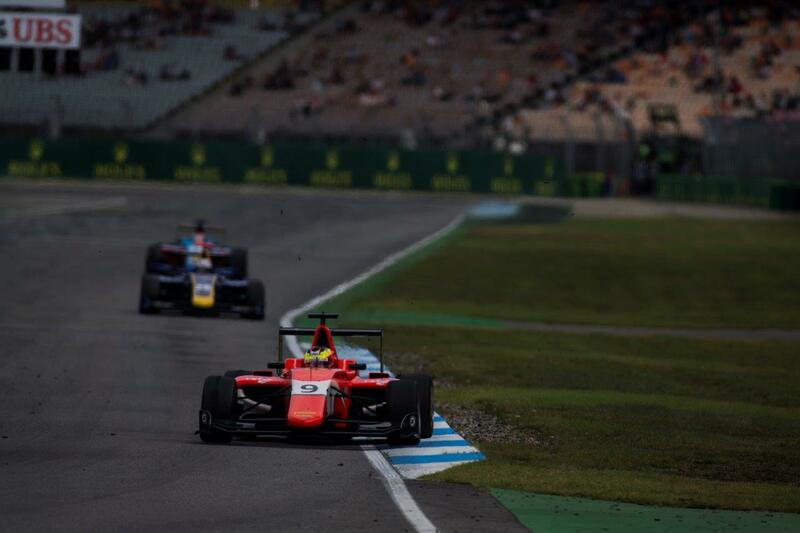 Dennis’s pace was so good that he cleanly moved past fellow Briton Matt Parry (Koiranen GP) on the following lap up the inside at the hairpin and set his sights on the fifth placed Jenzer Motorsport car of Arjun Maini, over two second up the road. Dennis managed to cut Maini’s advantage to 1.2 seconds by the time the chequered flag fell after 18 laps.